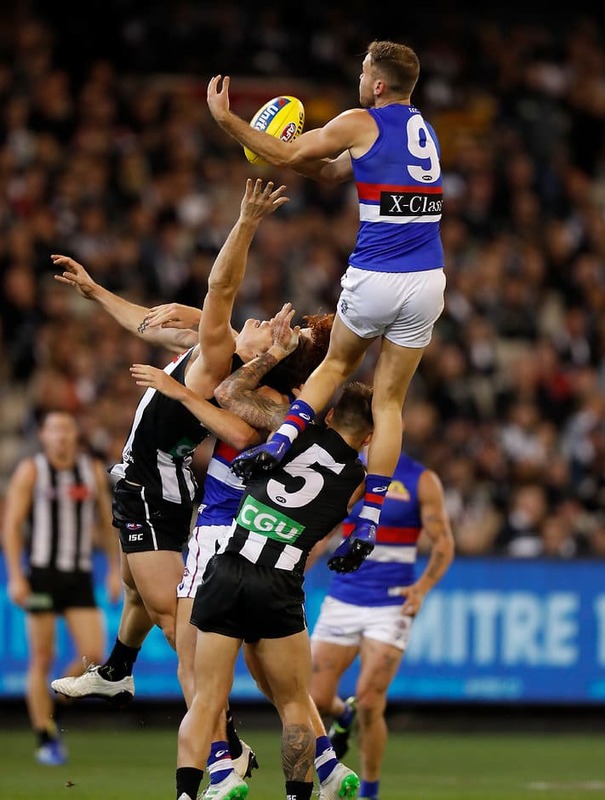 Hayden Crozier was nominated for his outstanding aerial skills shown in the second quarter of Friday night’s match. Nominated for the second time in as many weeks, Naughton was recognised for his impressive third quarter grab, while Hayden Crozier was nominated for his outstanding aerial skills shown in the second quarter of Friday night’s match. The third Round 4 nomination belongs to Harry Himmelberg (GWS Giants). You can vote for Hayden Crozier or Aaron Naughton by visitingmarkoftheyear.afl. Voting closes on Thursday night. By voting, you go into the draw to win $10,000. The 2019 JLT Mark of the Year award winner will be announced at the 2019 Brownlow Medal Count. The player that wins the 2019 JLT Mark of the Year will receive $10,000.